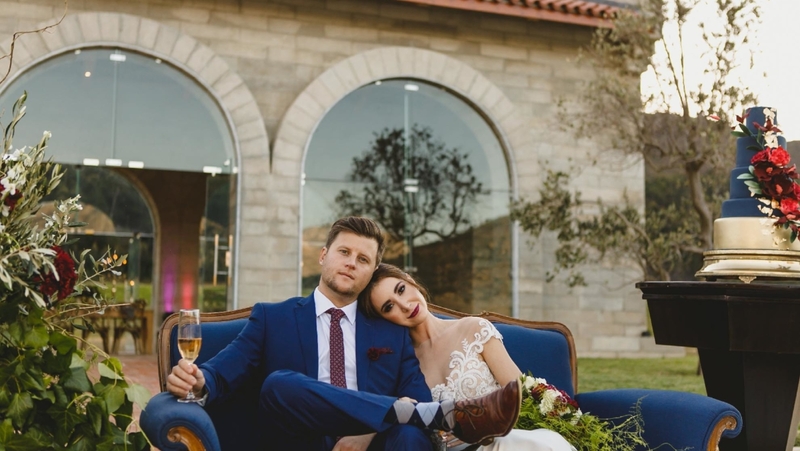 So this we just could not resist doing a photo shoot in this amazing Franschhoek venue, and once you have seen the photographs you will see why! 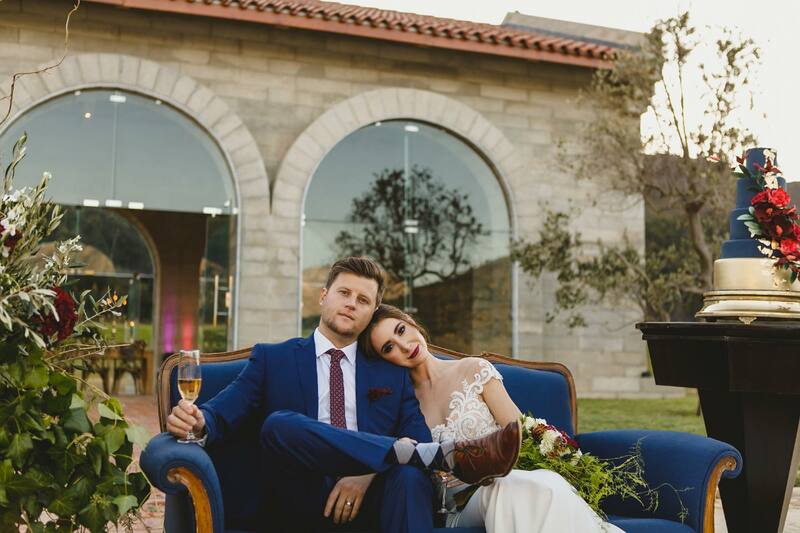 Introducing to you the all new and opulent venue in Franschhoek, Western Cape which is set amongst the gorgeous Franschhoek Mountains, surrounded by water creating the illusion of a venue floating on water. Inspired by the stunning architecture of the venue, the feeling the collaborators wanted to accomplish for this beautiful styled shoot was a bold, moody, romantic one. The colour palette consisted of deep burgundy, midnight blue, green and white. Giving you a royal, elegant feeling. All the details from the wedding cake, hair, makeup, decor, flowers, jewelry, food, attire and stationary were all set to tie it all together! The Sanctuary venue is a venue like no other, so we could not, not do a styled shoot here. ‘Long before present religions, major cities throughout the world built sanctuary’s where anyone of any religion or faith could go to meditate, find beauty and be at peace with themselves. Seeking and finding beauty and peace perhaps being the highest level a civilized person can reach. It is a shrine where fugitives were entitled to immunity from arrest and/or execution. A place of refuge. Sacred ground. The mastermind behind the building of this venue in Mr David Jenkins. The venue is built on an island in the middle of the lake, which gives you the ‘floating’ effect. With large arched windows you are able to see the surrounding views. The Sanctuary is the perfect venue for a ceremony and then have the reception at The Pear Tree grove on the farm, or at another one of your favorite Franschhok venues. The Sanctuary can seat up to 120 guests ceremony style. With no doubt this venue is a show stopper and all of your guests will be wowed. Your wedding or event will definitely be one to remember! For bookings, venue viewings and all inclusive packages please contact Franschhoek Venues. A big shout out to all the wonderful suppliers involved – check them out below!